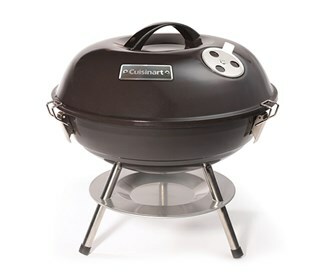 The Cuisinart CCG-190 is a 14 inch charcoal grill. 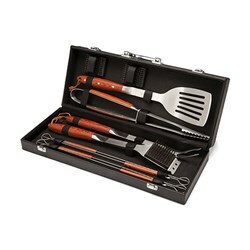 This grill offers the perfect solution for all on-the-go grilling needs. This compact grill is lightweight for easy transport and features over 150 sq. in. of grilling space. 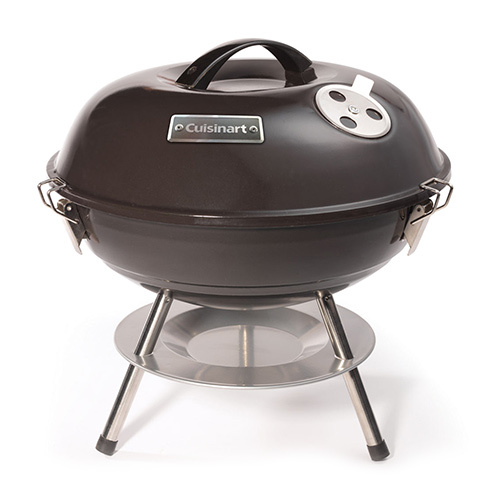 The durable enamel-coated firebox is strong enough to survive the harshest grilling conditions, while the dual vent system helps control the heat. For clean and safe transport, three locks secure the lid and the ashtray is accessible for easy emptying. 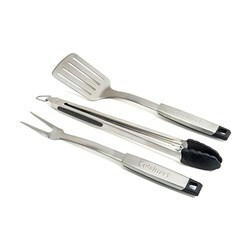 The Cuisinart 14 Inch Portable Charcoal Grill has many exciting features for users of all types. 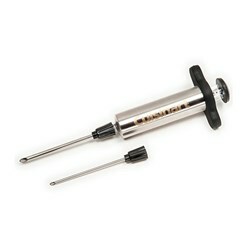 You can extend the lifetime of your Cuisinart 14 Inch Portable Charcoal Grill with the purchase of a FactoryOutletStore Factory Protection Plan. 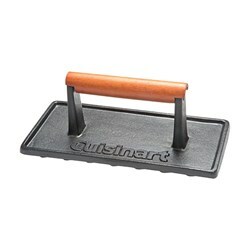 See the Cuisinart 14 Inch Portable Charcoal Grill gallery images above for more product views. 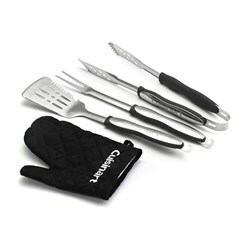 FactoryOutletStore stocks a full line of accessories like Cuisinart 10-Piece Premium Grilling Set, Cuisinart 3-Piece Grilling Tool Set with Grill Glove, and Cuisinart 3-Piece Professional Grill Tool Set for the Cuisinart 14 Inch Portable Charcoal Grill. 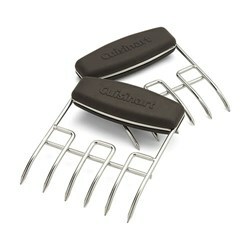 The Cuisinart 14 Inch Portable Charcoal Grill is sold as a Brand New Unopened Item.